Do your children ever look up at the stars and wonder what they are? Who lives on them? What messages they might be trying to send to children here on Earth? 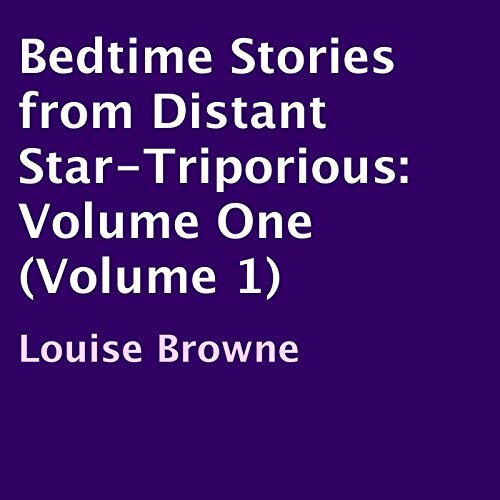 These stories for bedtime are a result of continuing conversations between myself, Louise Browne, and Juliana of the distant star, Triporious. Juliana has children and she relates stories to me of events that happen to both her, her children, their friends, and day to day life, just like we have in our lives here. This is Volume One of a continuing series. Juliana and I hope you and your children enjoy them and keep them in your heart, remembering you are always supported and never ever alone. Has a caring Spacey feel with tales of real life events on Earth and how we relate to Princess Juliana of Triporius, brilliant.